Everyone you know visits Wikipedia every day, but almost nobody who reads it knows how Wikipedia's articles get to be the way they are in the first place. If you're a savvy reader, you may be aware that it's an open collaborative project, and you might even know there's a community of volunteer editors who write and organize the content. Those who have spent some more time looking into it will have learned that Wikipedia has a dizzying number of rules about appropriate content and editor actions. But synthesizing this into a high-level picture of how Wikipedia actually works is a task even few Wikipedia editors have worked through. If you want to get involved as a Wikipedia contributor, or if you simply have a single page or topic you'd like to encourage some changes to, the more you know, the more you'll realize how much more there is to learn. And the biggest early challenge for anyone who wants to get involved is: how do I know if the thing I want to add is going to be accepted? In fact, there is a simple framework you can keep in mind when evaluating your goals and planning to get started. What do the rules advise? What do your sources confirm? How will Wikipedia editors respond? This blog post describes what you need to know about answering these questions, with links to relevant Wikipedia information pages for further reading. It can't address every specific circumstance, but it will put you in the right frame of mind to find the correct answers. Wikipedia's basic philosophy can be found in a short page called the five pillars, and it's a must-read for orienting yourself to Wikipedia's style of thinking. These principles inform the two main types of rules that Wikipedia editors have written for themselves: policies and guidelines. Policies must be followed closely, and failure to do so risks restriction from editing. Guidelines should almost always be followed, and failure to do so risks censure. Both types of rules cover the content of articles as well as the behavior of contributors. There is also a third type of rule which is not strictly enforceable: essays. Technically, these are the opinions only of the editors who write them, but some carry the equivalent weight of a guideline if they are widely accepted. Wikipedia has three core content policies, and they include writing from a neutral point of view, writing only about information that is publicly verifiable, and permitting no original research to be included in Wikipedia articles. But that still leaves many questions about what a Wikipedia page should look like, so there is both a page with prescriptive advice about writing better articles and a long list of proscriptive advice about what Wikipedia is not supposed to include. A key guideline which often comes up for those just getting started is one about when you want to write a new article that doesn't exist. This is called notability, and it is a fairly dense explanation of an ambiguous concept that tries to answer a difficult question: which topics are considered significant enough to have their own article? The simplest possible answer is: a lot of in-depth coverage from well-regarded news sources demonstrating public interest in the topic. Because this is so complicated, there are separate pages explaining how it relates to, among other things, companies and organizations as well as people. Determining what content is allowed in articles is more complex. As broad as this post intends to be, there is a very good chance it will not address your specific issue. However, a good place to start is a section of the neutral point of view policy about due and undue weight, meaning how to regard the proportionality of specific information in relation to the larger topic. Also relevant is the essay about including criticism in Wikipedia articles, which you may be surprised to learn specifically recommends against including "controversy" sections in most circumstances. The specific style of writing content for Wikipedia is governed by the site's manual of style, which itself has a multitude of sub-pages governing everything from the correct way to title articles to Wikipedia's preference for gender-neutral language to explaining when you should capitalize the word "The". Is this a lot to read and synthesize? Yes, it sure is. But the bottom line here is simple: to understand whether your contribution will be accepted, you'll need to have a clear idea what Wikipedia's content guidelines have to say about it. The verifiability guideline requires that anything you want to add to Wikipedia needs to be publicly available information, which usually means bringing a citation to back up your claims. But it's not nearly so simple: Wikipedia requires these sources to meet a certain threshold for integrity, hence a very important guideline about identifying reliable sources. Like the question of notability, there is no clear line separating the acceptable from unacceptable. For most non-historical and non-scientific topics, well-respected news organizations writing for a general audience are best, provided the cited source is written by a full-time employee, and not an op-ed or an interview where the interviewee is not presumed to be fact-checked. Peer-reviewed academic journals are even better, but harder to come by. Most anything else is of very limited use: press releases, industry analyst reports, unpaid contributor blogs even at big publications (looking at you, Forbes) are not accepted. Social media accounts? Forget about it. For more information about how Wikipedia thinks about these things, there's a useful essay that explains how Wikipedia evaluates independent sources. An all-too common mistake in writing new content for Wikipedia is to begin with what you want to say, and then to go looking for sources that confirm the details. Very often, you won't find they say exactly what you want. Or, if you try to combine two articles to imply something neither quite comes right out and says, you'll run into the admonition against synthesis of published material. The source must say it clearly, or you can't. The best thing to do is to begin from research, and write about only what you find in reliable sources. Use Google, Google News, Lexis-Nexis, or any other database to which you have access. Copy everything to a text document, highlight the relevant parts, organize the salient details, and try writing it in an even-handed manner, free of opinion and jargon. Also, learn how to use citation templates. You may not get every detail you want, but you'll be a lot closer to success than starting from your idealized version. But what if you find that a supposedly reliable source is wrong? Alas, this isn't as rare as it should be. While Wikipedia's editors are well enough aware that even reliable sources get things wrong, their assumption is that a news publication's intellectual independence means it's usually trustworthy. In most cases, if the sources are wrong, and if you can't find another reliable source that gets it right, you will probably have to live with it. For more about this widely-acknowledged conundrum, look to a somewhat controversial essay about how Wikipedia favors verifiability, not truth. And know this: you're not alone in finding this a point of frustration. Wikipedia editors want to get it right—but they still have to play the odds. At long last, we arrive at a major topic not yet discussed: conflict of interest. It's a familiar term, and on Wikipedia it nearly always refers to the question of whether a contributor has a financial motivation for editing an article or proposing a change: on behalf of a client, an employer, or even oneself. Wikipedia has an explanatory page about what to do in this situation, called the plain and simple conflict of interest guide, but its length suggests that it's anything but. Read it before you try. Otherwise, the success or failure of your edit may depend on a number of factors: Is the page one that is frequently edited, or less often? In the former case, lots of eyeballs will be on your edit, so if another editor doesn't like it, they may undo—or "revert"—your change. On less-traveled pages, your edit may stand for a long time—until someone shows up and decides otherwise. Or, is the page about a controversial subject? If so, check the article's discussion page first to see if your idea has been considered and rejected, and why. If not, then you may have a freer hand to make or suggest changes. And yet, sometimes, it's possible to be quite certain that you have it right by the rules and the sources, and you still find a Wikipedia editor disagrees with you. Maybe they don't know as much about the subject, maybe they have an agenda of their own, or maybe you've both come to the topic in good faith, but have nevertheless arrived at different conclusions. You can review their contribution history to try to understand their previous activity, but Wikipedia's editors are not required to give much information about themselves, so you may never know for sure. Unfortunately, Wikipedia's rules can't anticipate everything, and into this gap steps another key principle: consensus. Joining notability and reliability as fuzzy concepts, this is is the notion that it's best for Wikipedia editors to agree on page content, and recommends methods for working together to achieve this. You'll want to know the discussion page guidelines, because consensus usually emerges through conversation. Also familiarize yourself with the "bold, revert, discuss" cycle of edits and discussion, which is treated as policy and aims to prevent edit wars. Generally speaking, questions of fact are easier to resolve than matters of perspective. Anytime judgments not strictly informed by guidelines come into play, such as phrasing, or selecting specific points from a news story to highlight, the ultimate determinant is which editors choose to participate, what their views on the subject may be, and what compromise they can agree on. Everywhere throughout Wikipedia, the outcome of any specific change—to add, remove, or modify information—depends on these three key points: what the rules say about what you want to say, whether you have sources to establish the facts as you see them, and if there is consensus among Wikipedia editors that your desired change improves the encyclopedia. Hopefully, this gives you a clearer view of how Wikipedia decides how to handle the content its contributors decide to allow—or do not. There's no way to cover everything in one blog post, but by now you should have the necessary background to learn more, and try it yourself. Interested in learning more about how Wikipedia works? 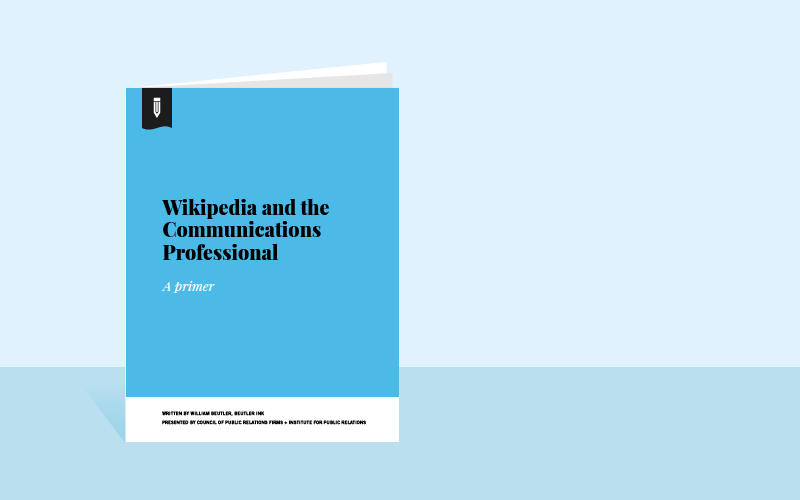 Download your free copy of our Wikipedia Primer! Note: This blog post was adapted from a Wikipedia user essay, “Understanding Wikipedia’s content standards”, written by the same author.